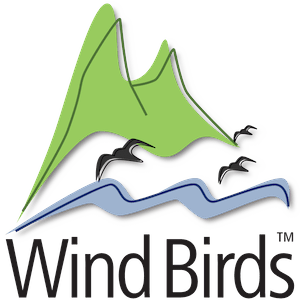 This website is developed by Wind Birds' company as a contribute to the knowledge and conservation of whales and dolphins species around Madeira archipelago and to promote whale watching in a sustainable way. 26 species of cetaceans are confirmed records for Madeira archipelago waters and three species remain as dubious records as there are not enough evidence to allow a definite identification of the species. According to Pereira E.,1957, there are documents stating that in 1743 whales were hunted by manual harpoon in Madeira seas. In his work of “Ilhas de Zarco” he also states that the modern whaling industry (with harpoon guns) only started in February 1941 when whaleboats with its crews came from São Miguel, Azores, to hunt and to establish an industry based in Ribeira da Janela, Porto Moniz. Two years later there were whaling boats spread through four harbours in Madeira: Porto Moniz, Caniço, Caniçal and Funchal. 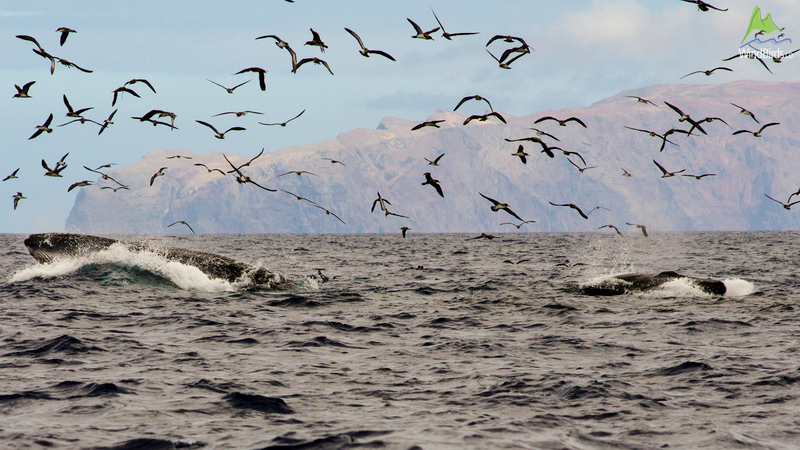 As the industry developed, six whale spotting places were built in Madeira - Porto Moniz, Ponta do Pargo, Ponta do Sol, Garajau, Caniçal and São Jorge, - three in Porto Santo - Pedregal, Espigão and Ilhéu de Baixo, - and two in Desertas Islands - East and West tips of Deserta Grande. These spotting places were situated in capes or tips of the islands from where men could search for whales. Meantime the base of the whaling industry moved from Porto Moniz to Garajau at first and later, in the early 50’s, to Caniçal, where a modern processing facility was built. Every single part of a whale's body was used to extract four main products: oil, meal, baleen and teeth. The whale oil was used to lit the homes and streets of much of the world, to make soap and margarine and, during the II World War, as fuel for the public buses in Madeira. The whale meal was mainly to feed pigs. Mistakenly known as whalebone by the whalers and manufacturers, baleen is a strong, yet flexible material made out of keratin: a fibrous structural protein that is the key material that makes up human hair and fingernails. Its applications were mainly for women’s fashion, such as hair brushes, whips, corset stays and parasols. As for whales’ teeth, these were known as sea ivory and was used for ornamental carvings and for the traditional hobby of sailors: the art of scrimshaw (tooth polishing and then engraving with ink). In the 70’s the growth of organisations to protect the whales and the consequent ban on the whaling products by some of the countries to where Madeira was exporting, such as the USA, UK and France, slowly led to the voluntary end of whaling in Madeira in 1981. During the 40 years (1941-1981) of whaling with harpoon guns, approximately 6000 cetaceans were killed in Madeira waters, an average of 150 specimens per year. This activity consists of the observation of cetaceans in its natural habitat and, as an ecotourism service, it implies the respect and conservation of the animals and habitats, minimising impacts on the disturbance of the species. In Madeira, whale watching as a recreational activity started mainly after the end of whaling, when chances to observe whales or dolphins increased for the boats operating coastal or big game fishing trips. By then whale watching was randomly done when by luck a group of cetaceans crossed the course of those trips and the passengers had the chance to observe them. As a dedicated commercial and tourist activity, with companies promoting and running sea trips devoted to the observation of whales and dolphins, it only started in 2004. From then on the growth of whale watching had an average growth of one new boat operating per year.